Porcelain veneers allows you to have the perfect teeth and naturally beautiful, youthful smile you have always wanted. Everything you need to know about Dental veneers and veneers cost to smile with confidence! by Dr. Parducho in Redondo Beach Ever wonder how or why most people on TV have amazing smiles? Not everyone is blessed with the perfect set of pearly white teeth – change is possible! In fact, most people have some aspect of the teeth or smile that they would like to change – this can be a major gripe or something very minor.Dental veneers are one form of treatment that can provide you with a confident and beautiful smile. A smile makeover involving veneers may be the solution for you. Don’t know what’s involved in getting veneers? A dental veneer is consider as cosmetic dentistry and essentially a thin shell of material that is placed over the outside surface of the tooth. This shell or cover is custom-made to fit your tooth and can be altered in order to change the shape and color to create your ideal smile. That’s the crux of a veneer – we can vary the size, shape and color of the veneers to provide an aesthetically pleasing result. Dental veneers come in two forms- composite veneers and porcelain veneers. What is he difference between composite and porcelain veneers? Composite is what dentists use when placing a ‘white’ filling in your tooth. It may also be used to veneer a tooth. Porcelain is a hard material made in a dental laboratory that closely mimics tooth structure. It is also used in dental ‘crowns’. 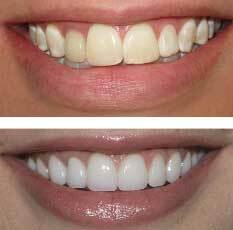 Both composite and porcelain veneers can provide substantial aesthetic improvements. The choice of material depends on the individual and your suitability for either would need to be assessed prior to making this decision. In general, porcelain veneers would provide the most life-like and natural improvement. These veneers are constructed in a dental laboratory by an experienced technician who specializes in porcelain work. At Beach Smile Dental in Redondo Beach location, we stick to using reputable laboratories for quality assurance. They should last a minimum of 5 years. If done well and carefully maintained, porcelain veneers can last 20 years +. Composite veneers will generally have a shorter lifespan but are quite capable of lasting 10 + years. One downside of composite veneers are that they tend to discolor over time and can stain at the junction of the tooth. Consultation- assessment of the smile and discussion of the options available for cosmetic enhancement. At this appointment we will discuss you expectations and ‘ideal smile’ and if this can be achieved with veneers. We will sometimes recommended tooth whitening prior to veneers for an optimal result. A quote will be provided at this appointment. Tooth preparation- One of the benefits of veneers vs caps or crowns is the limited amount of tooth preparation required. Porcelain veneers generally require just 0.5 mm of tooth removal from the outer surface. The idea behind aesthetic veneers is to utilize your own tooth structure to give the veneers vitality and a lifelike quality. Following tooth preparation, molds of your teeth are taken and sent to the dental laboratory. The dentist will then construct temporary veneers to be worn while the porcelain veneers are made (usually 2 weeks). Veneers are first tried-in to ensure you are completely happy prior to permanent cementation. The veneers can then be ‘bonded’ to your teeth- essentially becoming part of the tooth. What is the veneers cost? This is largely dependent on the type of veneer. Due to their more natural and life-like appearance and the laboratory process required, porcelain veneers are more expensive than composite veneers. The price of porcelain veneers can vary significantly depending on the quality of dental laboratory chosen by the dentist. Some dentists will choose a cheaper lab and this is usually reflected in the quality of the work. At Beach Smile Dental in Redondo Beach, we insist on using only the best local dental technicians and ceramists. There is no substitute for quality. We often ask that our patients attend the lab for ‘shade taking’ – this allows you to discuss your expectations directly to the dental technician. 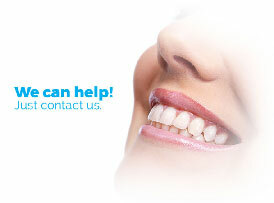 For a rough guide on pricing, please contact with our dentist in Redondo Beach Location. Use this as an estimate only- a specific quote will be provided following a dental examination to assess suitability for porcelain veneers. Will I be able to eat all foods on my veneers? As with any filling or restoration in your mouth, nothing is as strong as your natural teeth. Porcelain veneers are very strong and develop their strength once bonded to the tooth. Normal foods are perfectly fine. We caution on ‘foods’ such as minties and redskins or similar, pork crackling and the obvious like seeds and olive pips. Although extremely strong, porcelain veneers can chip if subjected to extreme loading. Veneers are more at risk with habits like nail-biting, chewing pens and tooth grinding. This will depend on the state of your teeth, your concerns and expectations. As a general rule- they need to be symmetrical ie. Front two teeth only, front four teeth, front six, etc. We often find that the best results are achieved by fewer veneers. This can involve a combination of deep bleaching of the other teeth (tooth whitening) followed by veneers that match the bleached teeth. Other times, bleaching cannot get us to an acceptable color shade so it is necessary to veneer these teeth also.